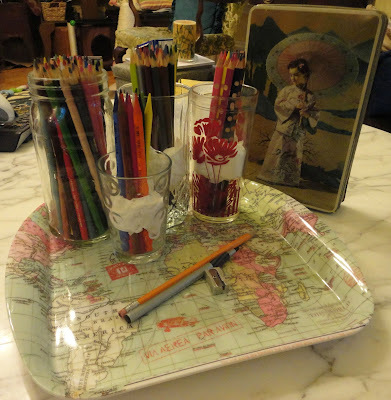 I recently partook in the phenomenon that is adult coloring... but I have a secret. I used to do the same thing before the craze with velvet posters and markers. There's no shame in expressing yourself artistically, and I can't fathom why anyone wouldn't want to try this, other than having traumatic experiences with coloring inside the lines, but I suppose I won't be covering that today. 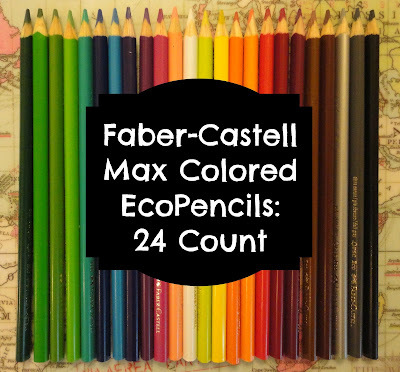 If you're new to the world of art books and art pencils, it can be a bit overwhelming to know what you actually need, or which of the cheaper brands of colored pencils will work best for you. 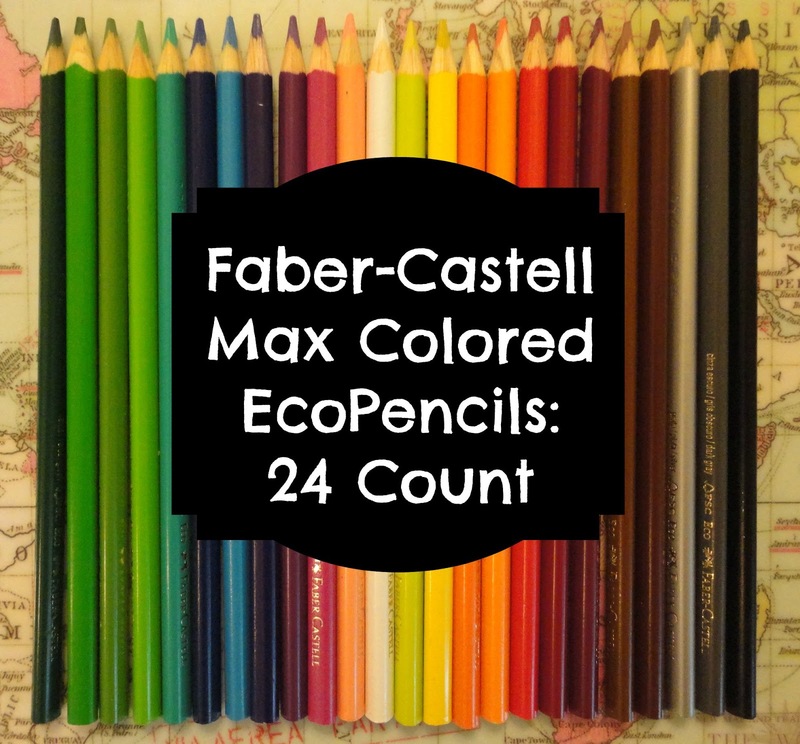 Luckily in the past month I've learned the basics, along with which colored pencils are actually worth buying, and some helpful tips. -Always test your colors beforehand, regardless of medium. Most brands will never come out true to the depicted color... or your impression of it. -If you're having a difficult time deciding what to color which section, trace the problem areas onto a separate sheet of paper and do a test run. -If you have no idea what type of adult coloring book would appeal to you, go to a bookstore and look at them in person. Your perception of how big you think the patterns are might be different, influencing your choice. -Use online reviews to help narrow down your choice: often other people will think of something you wish you'd read before buying or ordering a certain art book. -Try using different amounts of pressure with your pencils/markers: you can eke out three different shades (or more) from one pencil. -Combine two colors to get a completely different shade. 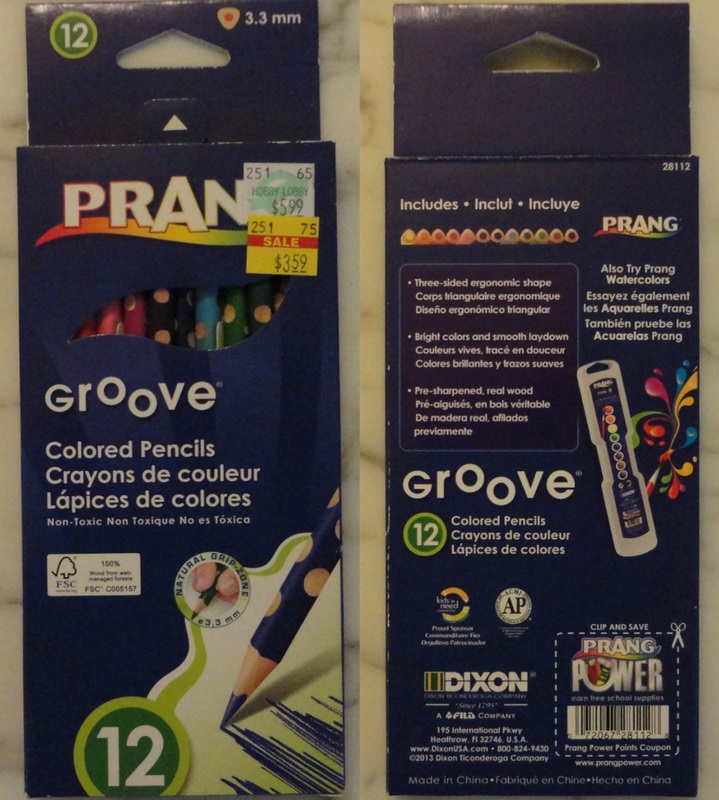 I loathed Crayola's Gold and Silver colors, but with an additional color beneath them they look like another brand. -Clean the pencil sharpener between pencils. You may end up with a yellow pencil with black specks otherwise. -The most important part of adult coloring is... to have fun. Otherwise it isn't worth doing at all. 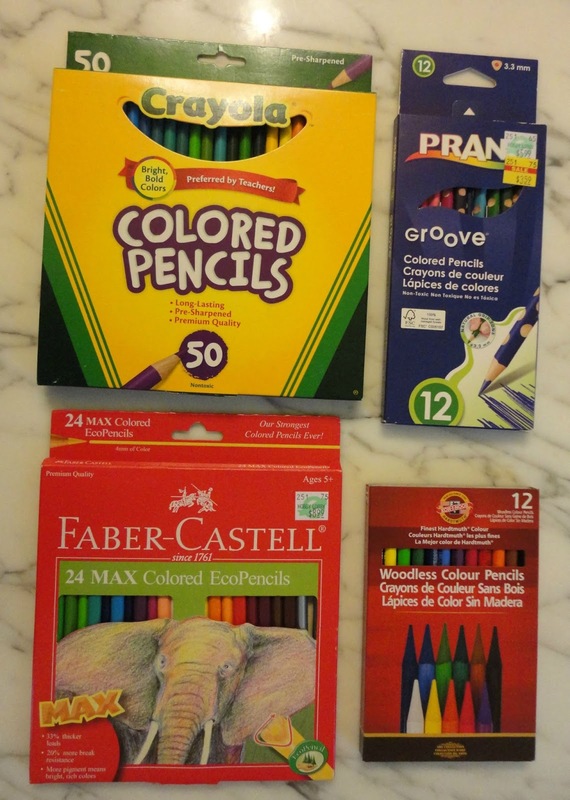 I bought four brands of colored pencils, with a vast difference in pricing. 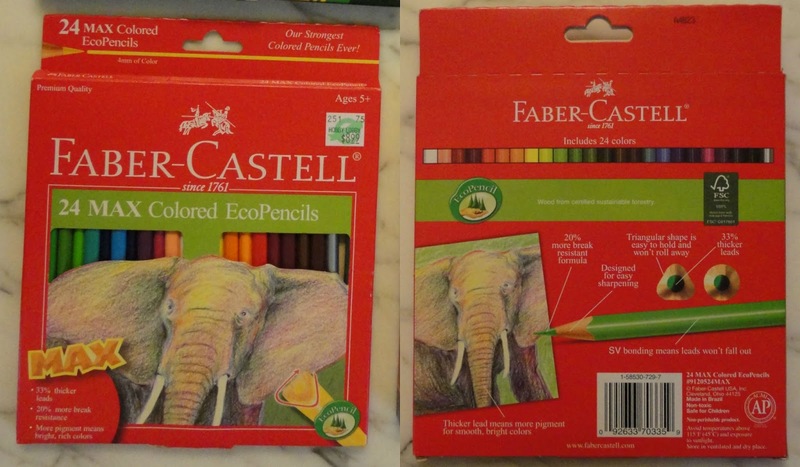 I chose colored pencils over other mediums because there is no ink bleed, and I would hate to ruin the double sided pages of my Animal Kingdom coloring book just so I could have smoother colors. 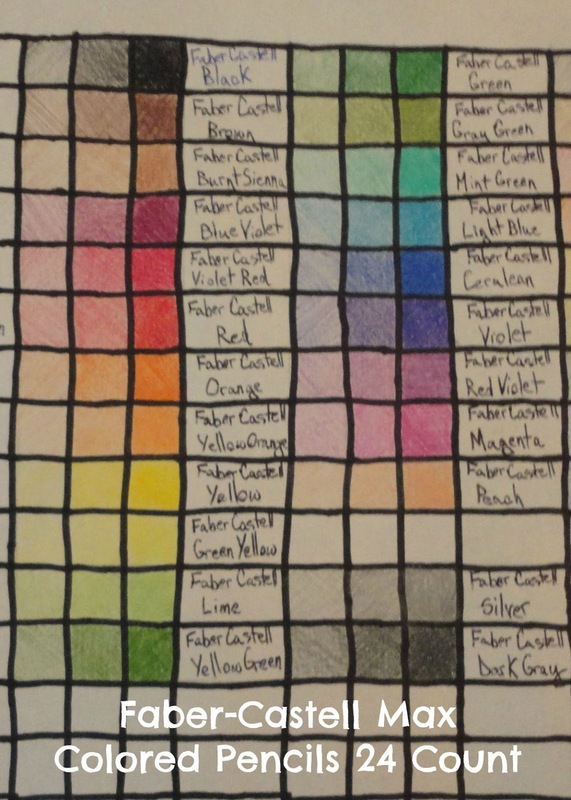 Also, I've noticed the colors you've put down with markers have a tendency to fade over time, and I'd hate to lose any of the pigment in my pictures just because I chose the wrong brand of markers. 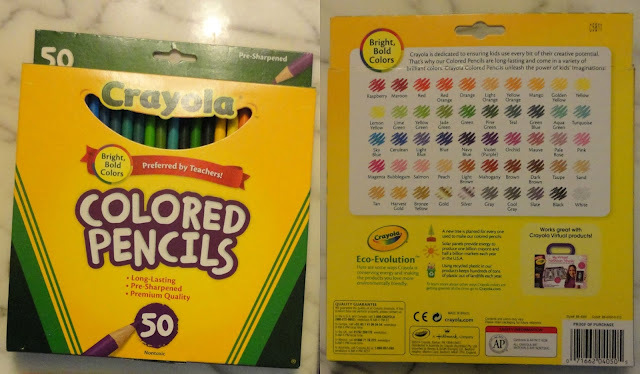 Package Claims: Preferred by Teachers (I laughed), "Bright, Bold Colors", "Long-Lasting", "Premium Quality"
Each set of three horizontal cells on this color chart is made by the same pencil, to give you an idea of how many different shades you can get out of one set. You press the hardest to get the more intense color, then adjust your hand's pressure from there. I have two extra cells below the squiggly line on this one to show you how I blended colors to get the right shades of gold and silver. Definitely not "Premium Quality"- but what do you expect from a brand from your childhood? The plus on this set is you get a lot of bang for your money, and despite having issues with getting an even shade, I would recommend this set for a beginner. 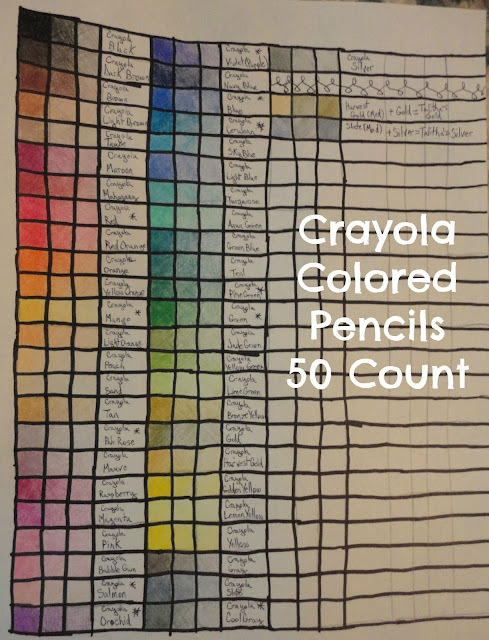 The most disappointing thing is half of the pencils are nothing like the shade they portray on their skins, so you have to do a chart like I did above or test them out before using. Least Favorite Shade: the Gold and Silver aren't really what I expected them to be. Package Claims: "Designed for easy sharpening", "Premium Quality", "Leads Won't Fall Out", and "More Pigment means brighter, richer colors". Despite having high hopes for this set, it was the most difficult to use, which cuts the enjoyment out of coloring. When doing my test swatches, I had to press so hard it indented the paper, just to get a good color. To compound that, I was afraid I'd tear up the test paper because the centers of the pencil's lead are so hard. But, the colors are pretty and it lasts a long time. Package Claims: "Bright Colors", "Smooth Laydown", and "Ergonomic". Despite this being made in China, these pencils were really nice. I liked the "Grooves" more than I thought I would, and they sharpened better than the other triangular pencils, despite the other pencils having claims of "easy sharpening". The only bummer with this one is the set that was on clearance was a 12 count- I wish I had more of these! Least Favorite Shade: I like every color in this set! Price: About $8- I got them cheaper with some in-store coupons. 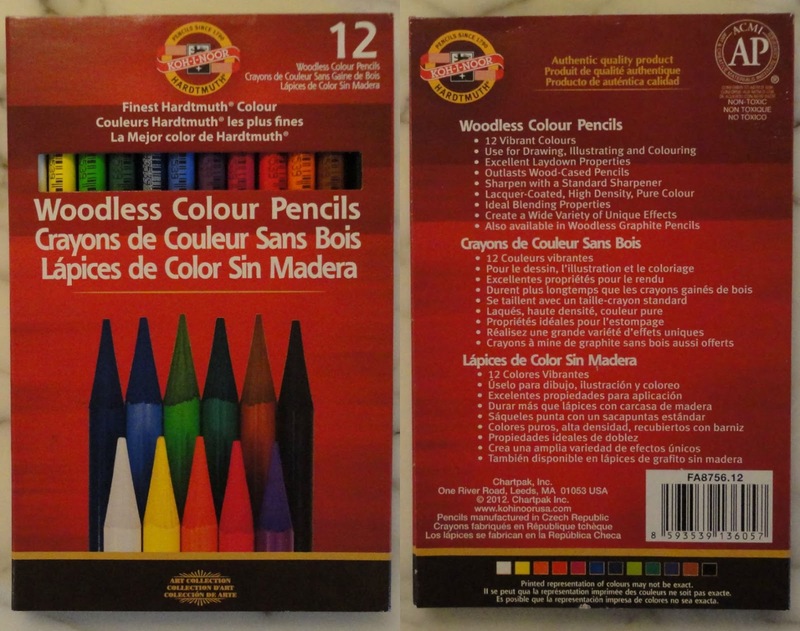 Package Claims: "Excellent Laydown", "Outlasts Wood-Cased Pencils", "High Density", and "Ideal Blending Properties". I love these pencils. Despite them weighing at least twice as much as the competition, and costing you an arm and a leg, these are beautiful pigments that are so easy to use. 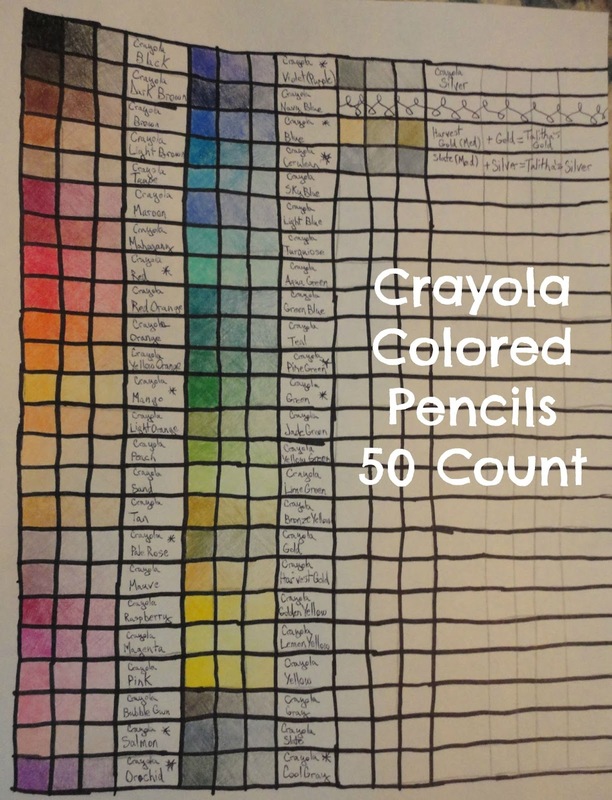 Whereas with other pencils it was a little difficult to do the color chart with each shade, with this one it was a snap. I have a feeling these will last me a very long time. Least Favorite Shade: White (not pictured, as I didn't have black paper on hand to use). 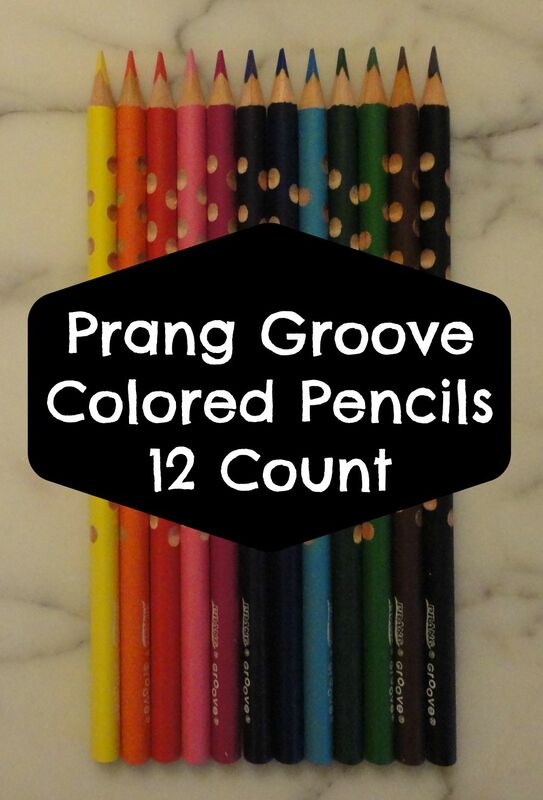 If you're just starting out with adult coloring and testing the waters, get the Crayola set. 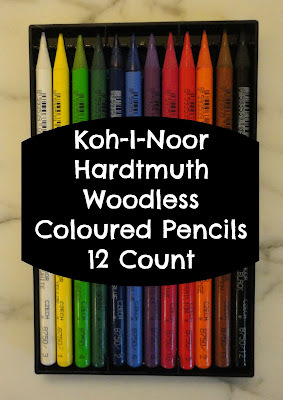 But if you're very into coloring and want something easy to use, I recommend either Prang Groove Colored Pencils or the Koh-I-Noor Hardtmuth Woodless Colour Pencils. Definitely go with the Woodless if you want something super easy to use and have the money to spend. 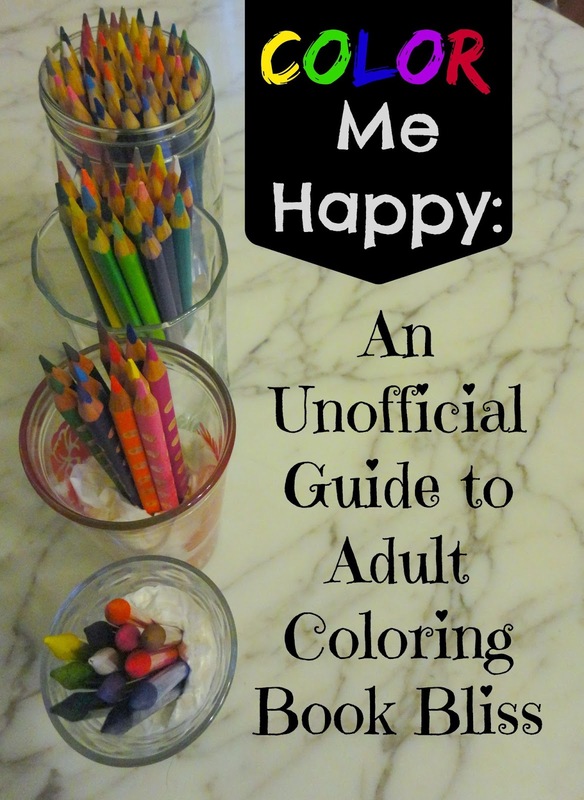 How do you feel about adult coloring? If you've already started, what is your favorite art book? I like to draw more than to color. I haven't used coloring books as adult, but I did play in Photoshop at digital drawing a lot. I wish I had Photoshop to play around with! The adult coloring tides my artistic side over when I don't feel like drawing or painting. 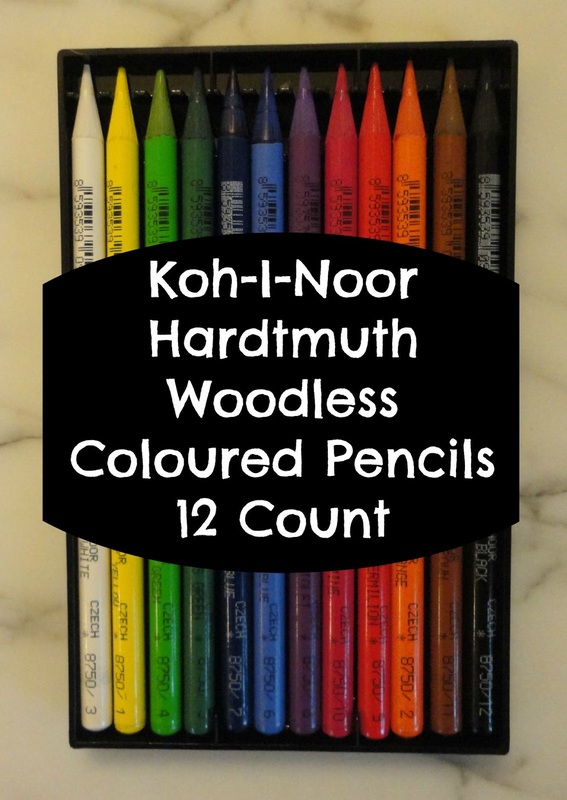 The Koh-I-Noor pencils are the best! I wish I could afford a fifty count set of them right now. Thanks for stopping by and commenting, Dragana! I'm glad you enjoyed it, and thanks for linking! I have had trouble with my regular ink pens bleeding through pages in my writing notebook, so I imagine with markers the bleed would be devilish. 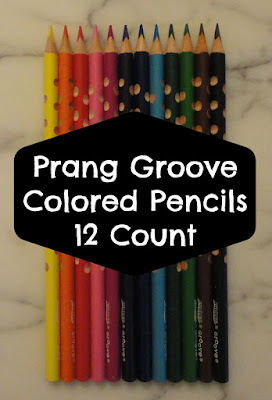 I've got Crayola, Faber-Castell, and Prang colored pencils, and I agree with your reviews of them 100%. I like to color in my "Coloring Paris" book while I'm listening to audiobooks, but I rarely find the time to do that. It's good to know your experience with those brands was similar! I was willing to give Faber-Castell another shot, but the other set they had available at the craft shop had boring colors- and my hand is still traumatized from testing them out. I'll have to look up Coloring Paris- that sounds like a fun one. Thanks for stopping by and reinforcing my assumptions of the colored pencil brands, Rachelle! I can't wait to start! I have been meaning to buy an adult coloring book but haven't yet. I will he soon though. My first book should be coming in the mail soon. I love coloring! It is so relaxing. A great way to relieve stress. Thanks for stopping by and commenting, Michelle!